Elv, Meg, and Claire share an imaginary world and even speak their own language. But as they grow up, their shifting loyalties and very different personalities start to pull the sisters in opposite directions. 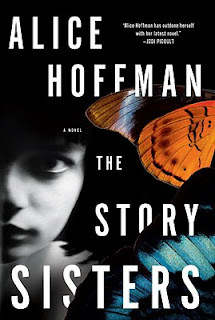 There is a mystical flavor to The Story Sisters that isn't my usual taste, but it wasn't overpowering. 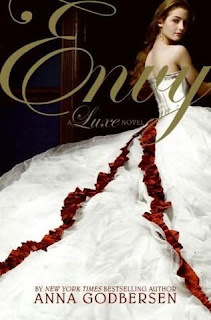 The characters and their relationships were compelling enough to keep my interest until the very end. There is really not much more for me to say about this series, except that I am still with it and very impatient for the next installment, due out in October. Too many twists have happened for a spoiler-free plot summary here, so I will just say that it continues on faithfully in the tradition of Luxe and Rumors, and that there are still twists and surprises and romantic intrigue.